¡Madre mía!. Y tanto... ¡Qué miedo! Y dónde llevan esas escaleras? Peligrosas pero me gustaría experimentar bajandolas. La vista debe ser hermosa. Gorgeous! Love the ocean! Counting down the days to our next trip! yo diría escaleras voladoras y sin fin!!!! They remind me of some rocky stairways in my city. They also go down to the beach, but, Oh, you must be careful! Stairs to the end of the world. I'd sit right at the bottom of them and feel the mist of the ocean on my face. 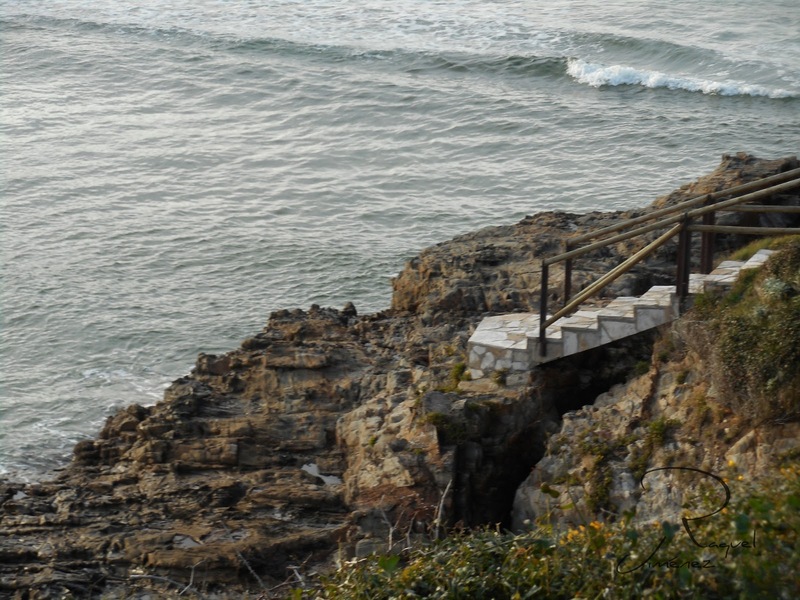 I love the stairs to the ocean. Looks like a wonderful place. In summer would be even better.